There is no better fun than having your online casino very handy. With great pleasure, Nektan is at it again. Handy Vegas is an online casino that offers so much fun. The selection of the games offers a lot of excitement. The convenient part is that players get to enjoy their ample selection of games on their tablets and mobile devices. Indeed, this is very common among all the brands that are managed by Nektan. Likewise, Handy Vegas uses minimal graphics to provide a smooth experience. Meanwhile, they are currently operating under strict regulations from the GRA and the UKGC. Indeed, these are among the very best licenses. Hence, if you are looking for a place where the games are fair, and their operations are transparent, Handy Vegas is undoubtedly the right place to start. Meanwhile, there are a lot of other useful features to suit everyone’s needs. Take a closer look at the term in section 7. Handy Vegas is saying that players will receive a maximum of 100 extra spins following each deposit. So bear it in mind that you may not win 100 additional spins. In the end, it depends on the amount that you have deposited. All cash bonuses must be wagered a minimum of 40 times before requesting for payout. Likewise, any winnings from using the extra spins must be wagered 40 times as well. For example, let’s say that a player deposited £25 and received another £25 as a first deposit bonus. Then, the player will have to wager £25 + £25 x 40 = £2000. Eventually, the player can only withdraw £25 x 5 = £125. The remaining £1875 will be removed from your account. 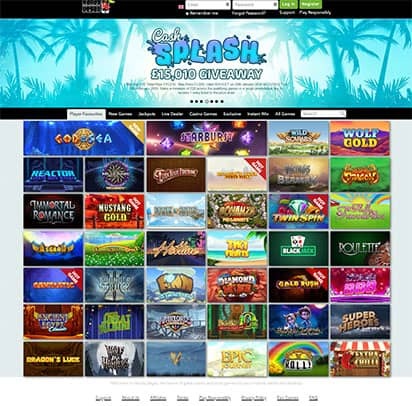 We list all of our free spins 2019 casinos here. Spin Up Casino is on of the hottest free spins brand out their right now, don’t miss our Spin Up Casino review. There is more than enough variety of payment methods available at Handy Vegas. Whether you like to use mobile payments or credit cards or electronic wallets, you will find a lot to choose from. Likewise, there is a support team that is available 24/7. The unit can be contacted via live chat, telephone, and email. Handy Vegas is a Nektan brand that offers plenty of games, bonuses, and promotions all in one place. Likewise, the platform is also handy as players get to enjoy the best of mobile gaming.